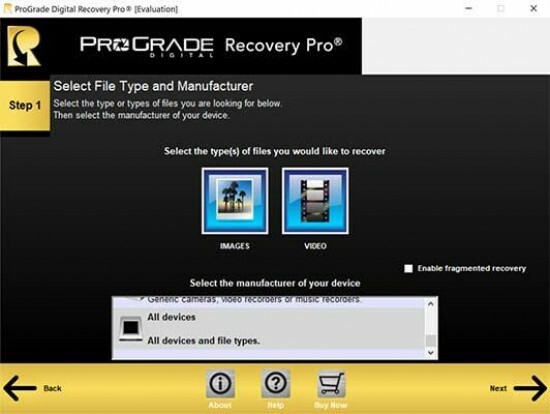 ProGrade Digital focuses exclusively on the design and marketing of digital memory cards, card readers and workflow software required by imaging professionals. Flagship products include ProGrade Digital CFexpress™ and ProGrade Digital SDXC UHS-II memory cards offered in a range of capacities and optimized to render maximum performance when paired with high-end DSLR, mirrorless, camcorder, drone and digital cinema cameras from Blackmagic™, Canon™, DJI, GoPro™, Nikon™, Panasonic™, Sony® and more. ProGrade Digital memory cards and workflow solutions are available for purchase by global customers on the company website and B&H Photo and Video website. Customers in North America, Japan and 27 European countries may also shop on Amazon.com. ProGrade Digital memory cards expand the creative visions of cinema and photography professionals around the world.